Growing up, I loved watching the Muppet Show. My parents actually allowed me to join the fan club. Over the years, my appreciation for the humor of the Muppets has grown. I was thrilled when Jim Henson’s prized characters were bought by Disney and included in a section of Disney’s Hollywood Studios. The section of the park is like no other. It looks like a section of the world that Kermit, Piggy, Beaker, Gonzo and company would live in. On Mother’s Day we were visiting Disney’s Hollywood Studios. 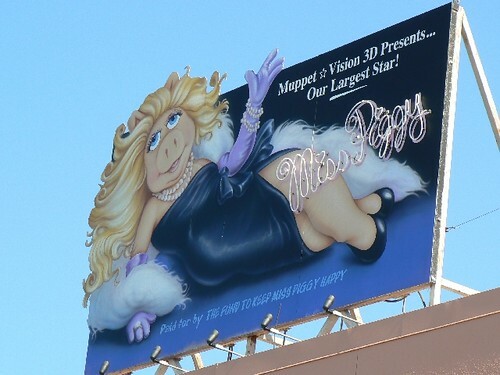 It reminded me of my childhood fascination with everything Miss Piggy. I actually had two Piggy dolls that I used to take around all over with me. In addition to this, I had Miss Piggy buttons with some of her famous sayings. My parents also had Piggy and Kermit sheets for their queen sized bed. Yes, we were quite the fans. The best part is that JL and I continue this with our kids. Who is your favorite Muppet character from the original Muppet show? I don’t think I had a favorite. I still don’t but I did watch the show when I was a kid. Piggy was cool. I’ve always been a Grover fan even though he wasn’t in the movies. Kermit was always my favorite. There was a Jim Henson exhibit at the Smithsonian when we were there last year, it was really cool to see the puppets, some original sketches and they had a TV showing some old commercials he had done. I was a Kermit fan! Thanks for taking the time to vote for Eli, I really appreciate it!! Yep I love Miss. Piggy! Definitely Kermit. He is great!!! Miss Piggy – she cracks me up!! She is so funny. High Ya!!! Miss Piggy hands down! I loved her karate skills. Oh goodness, I love Miss Piggy. I loved Animal, and also the two old men in the balcony! Cute! Well, I think it was easy to identify with Miss Piggy because there were so few female characters on that show. I really don’t remember all the characters now … Beaker sure made me laugh. I love Miss Piggy as well, but my favorite was Beeker! Toni’s last blog post..Hot fun in the summertime! All of the pigs from Pigs in Space. Kermit the frog! Sorry for stopping by so late! 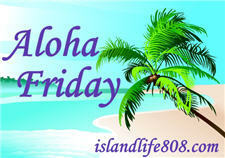 Sarah Berry’s last blog post..Mandatory Entry for giveaways reminder!